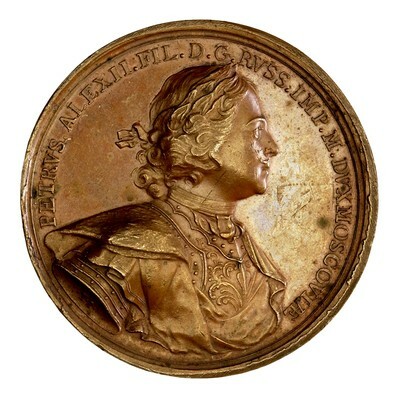 Obverse: PETRVS.ALEXII.FIL.D.G.RVSS.IMP.M.DVX MOSCOVIAE [PETER ALEXEEVICH BY THE GRACE OF GOD RUSSIAN EMPEROR AND GRAND DUKE OF MOSCOW] - Bust of Peter I, laureated, cuirassed, and draped, r.
Symbol: in the shoulder: .T.I. 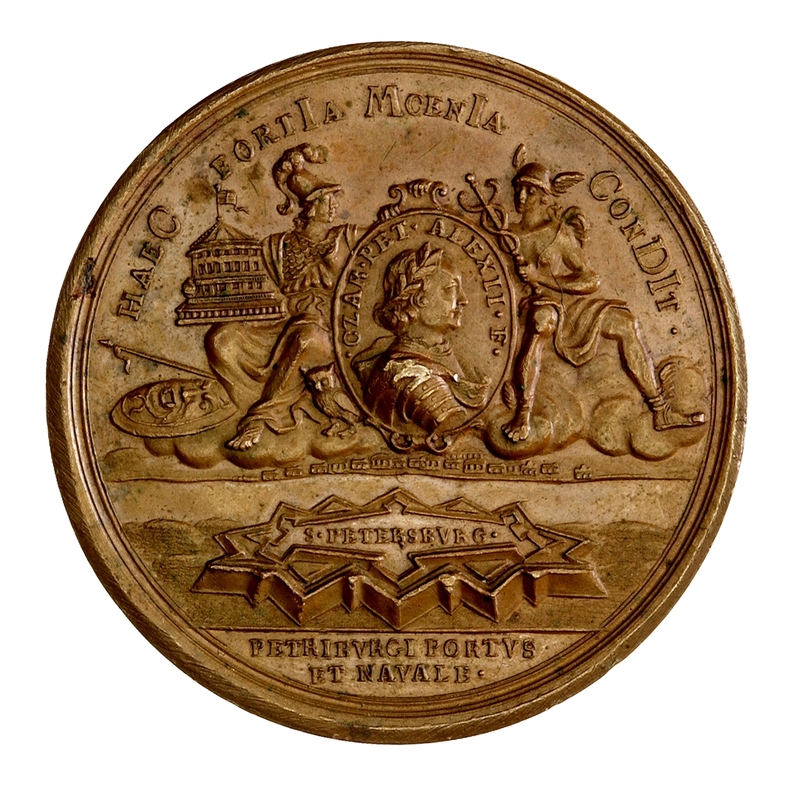 Note: This medal is part of a series ordered by Peter the Great in Germany, from Phillipp Heinrich Mueller, a well-known medal die-cutter from Augsburg, to commemorate Russian victories in the war with Sweden of 1702-1714. However, our specimen is a later copy executed by Timofey Ivanov, who was active as a die-cutter at St. Petersburg Mint from 1750 through 1796. 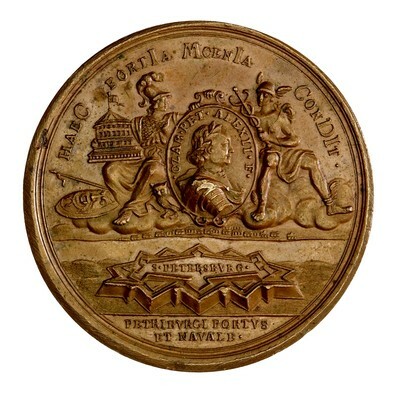 The medal commemorated the foundation of St. Petersburg and its harbor and shipyard on May 16, 1703.